It’s time for the 6th Annual Windflower Holiday Book Sale. For the last five years I have been my share of the profits from the December sales of all Sgt. Windflower books to a great community cause. It’s a great way for me to give back a little to people and organizations who need so much, especially this time of year. In the last five years we have been able to donate nearly $3,000.00 to community groups who really need our support. 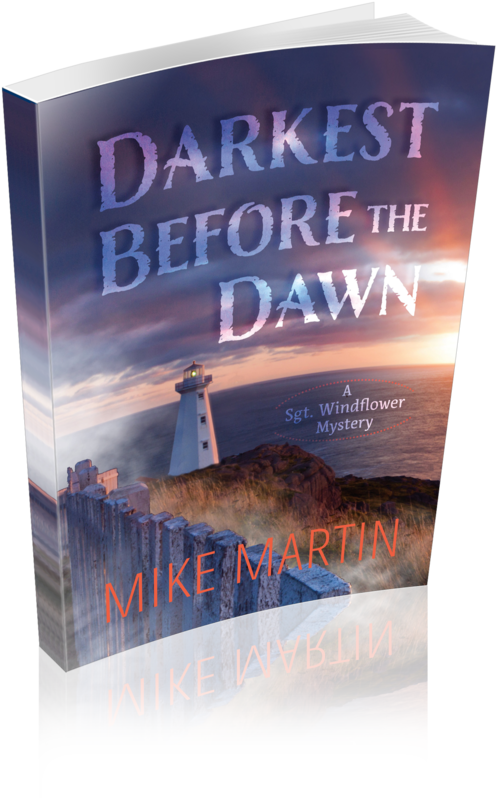 This year I will be donating $5.00 from the sale of every Windflower book to the　Minwaashin Lodge-Indigenous Women’s Support Centre　in Ottawa. This facility is a healing centre in Ottawa that provides a range of programs and services to First Nations, Inuit and Metis women and children who are survivors of domestic and other forms of violence, and who may also be suffering the effects of the residential school system. If you make an individual donation to this cause, I will donate an additional $5.00. Just let me know that you’ve made a contribution. In addition, I will send a signed copy of a Sgt. Windflower Mystery, to you, or a friend or relative of choice, anywhere in the world. The Sgt. Windflower books are available in Chapters/Indigo stores across Canada and at Chapters.ca. The latest book in the series is A Tangled Web. I have now published six books in the Sgt. Windflower Mystery Series and each time I have chosen to give away a number of copies, absolutely free. Not only that, but I actively seek out strangers or near strangers on social media to give them away to. Now, I am not giving away all copies of my books. I am neither rich nor daft and I am not particularly altruistic, but I do believe in helping people to read my book. I realize that I can’t give anybody a raise in their monthly stipend to help them with their book budget, but I can help at least a few of them enjoy my new books, fresh out of the printer’s box. I believe in an idea called Reading Equality, a radically new concept that everyone should have access to quality, new release books. That’s why I am making 25 copies of A Tangled Web available to people on a low or fixed income. I am advertising this offer on Facebook and Twitter and as the time of writing there are still a few copies left.